Academic Coaching Institutes are becoming more and more popular as the schooling system becomes increasingly competitive. These days joining a coaching institute has become a common practice in our lifestyle. A lot of Students enroll themselves into these coaching institutes with the hope of achieving success. Students moving towards the Coaching classes to enhance their academic skills, to build their confidence and speed up their learning process also cover the syllabus in advance to do more practice in exam time. Coaching Institue includes the Students part, Teaching Staff, Fees Details, Exam result performance of Students etc. 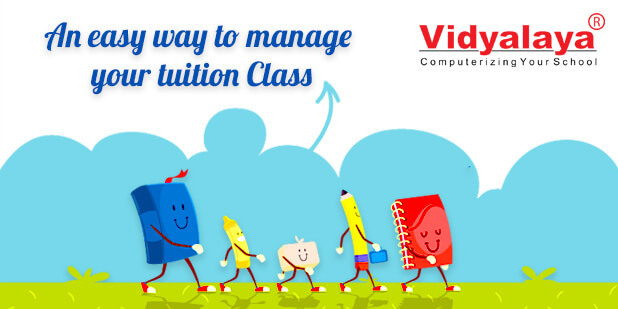 Now, let’s discuss how Tuition Class Management Software covers all these functionalities. With the help of this Tuition class management software, Coaching Institutes can have the record of bulk data of Students as well as Tutors or we can say the Teaching Staff, also can have the student’s academic performance record graphically & the major role is the Fee calculation with GST Model. So, here we discuss how GST works with Tuition Class Management Software. 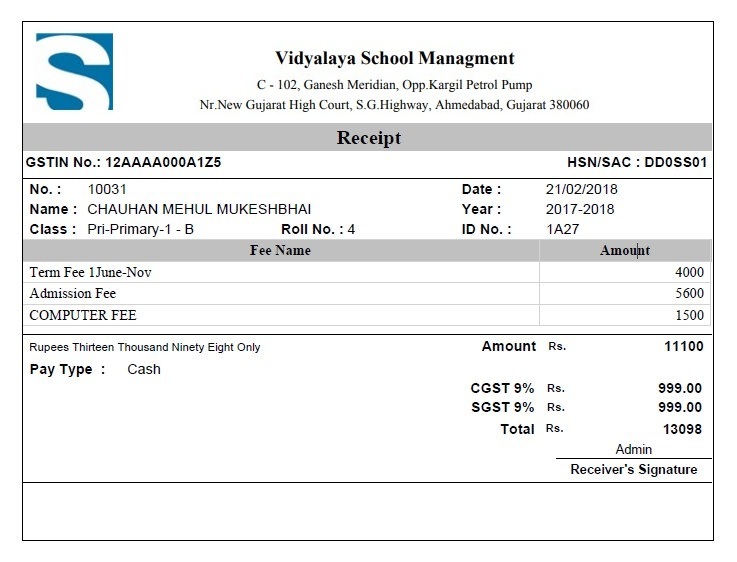 In this way, Vidyalaya School ERP helps the Coaching Institutes to deal with complex GST calculations. We know there are even more features which our valuable customers would like to have it in Vidyalaya School ERP. In every release we try our best to include features that can improve the user experience. Ultimately, your success is our success as Customer is our King.